The right speaker on my 33 year old Sony MDR-V6 headphones does not work. Up until recently I could get the right speaker to work by pulling or pushing on the left speaker wire, but the right speaker will not work at all anymore. In the past I could get the right speaker to work by pulling on the right speaker wire. I took the speaker covers off and looked at the wiring on both speakers. All the soldering on the left speaker wires appear fine. One of the wires for the left speaker is frayed a little. The single wire for the right speaker is frayed a lot. I moved all the wires around on both speakers but could not get the right speaker to work. Thanks for any replies. Use a meter to check the wires from the plug to the speakers. See if one has no continuity (probably the right pos wire). Most likely there's a break where the wire enters the headphones or crosses sides- where the wire is flexed most often. You won't probably see it. You'll just have to replace it or cut the existing wire shorter and rewire them. If you don't have continuity issues, you could have a bad earpiece, but I doubt it. Last edited by The Dude; 12-19-2018 at 01:27 AM. All the wires from the plug to the left speaker look fine. 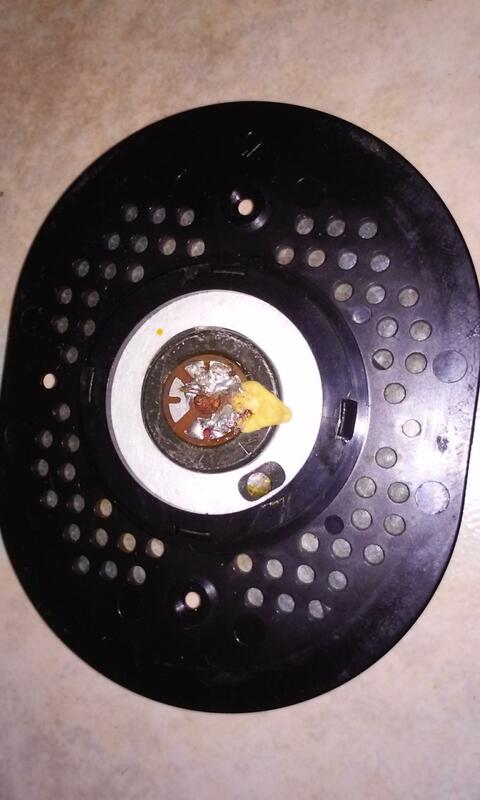 The wires from the plug to the right speaker are extremely frayed. 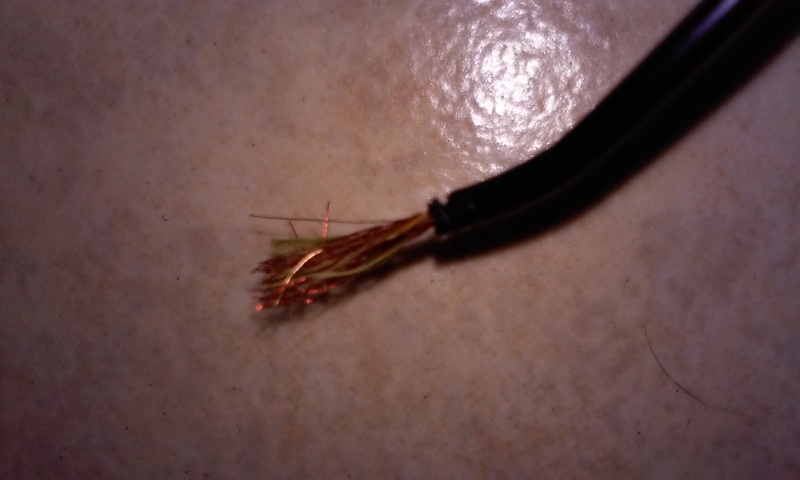 The tan part of the wire was still connected to the solder glob on the speaker, but the red part of the wire was totally disconnected. I cut the wire off and removed a half inch of insulation. Some of the tan fibers of the wire are mixed with the red fibers. Is it necessary to completely separate each fiber by color, or can some tan fibers be mixed with the red fibers and vice versa? Do I now just solder the plug wires back onto the speaker? Thanks. Hard to say for sure what you have. Maybe a picture would help. I'm guessing ,without actually seeing anything, that the red coated wires are the positive connection and the tan are the ground/negative connection. If that's the case, yes you'd have to separate them first. It's all easy enough to check with a meter. Separating each strand may not be possible even with a magnifying glass. What if I cannot separate all strands? After separating the strands do I just solder the separated strands anywhere onto their corresponding glob of old solder on the speaker? I have a multi-meter. To check for continuity I place one probe at the end of one separated group of wire strands and the other probe further up the same group of wire strands? Both group of wire strands should have continuity if I separated the strands sufficiently, correct? Thanks. Your job is to use a meter and find which wires go to which parts of the plug. Then solder the "sleeve wire" to the negative speaker terminal and the other to the positive speaker terminal. If you are unsure of how the conductors are arranged in the cable, you could carefully remove the other earpiece and see how it is wired. Again, the picture is blurry enough that I can't tell for sure, but it kind of looks like the brown "wires" might just be some sort of string there to add durability. Also, stripping back some more of that insulation might show the 'grouping' of the strands a little better. But agree with The Dude, looking at the other side speaker should show how it is. From my experience headphone & earbud wire is the cheapest crap there can possibly be. Trying to find the one conductor in all of the shielding wire is next to impossible. Plan B: Replace all the wire with something better. Fuzzy picture but I think I see bright shiny copper wire and tan "textile fiber" which is just cushioning. Forget textiles, concentrate only on copper. Agree with looking atb the other earbud and its soldering. Oh: and measure DC resistance across each earbud speaker, you should measure about 30 ohms DCR at each. If open, junk it and buy a whole new one. 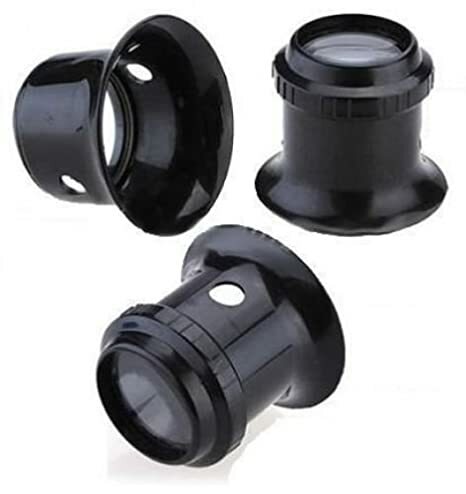 The speaker wire does consist of two different colored wires and the textile fiber. One wire is bright red and the other is tan. I was able to separate all of the strands of each color with the aid of my 16x magnifying glass. There are leftover red wire strands on one solder glob and leftover tan wire strands on the other solder glob on the speaker. I placed the red strands from the speaker wire onto its corresponding solder glob on the speaker and placed the tan strands onto its corresponding solder glob, but the speaker did not work. I placed one of my multi-meter leads at the wire plug in various positions and the other lead onto each exposed wire in various positions, but my meter did not beep detecting continuity. I also placed one meter lead at the base of the wire insulation and the other lead at each wire end, but the meter still did not detect continuity. I placed one lead on one solder glob on the speaker and the other lead on the other glob and got a reading of 68 Ohms. One possible problem is that the wire is coated and not actually soldered, yet. 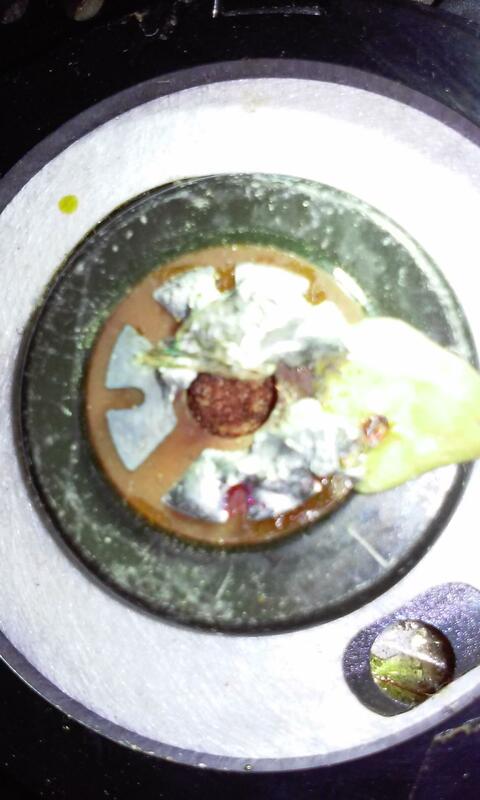 You may have to scrape/burn off the coating before you solder it. All of that wire is "self soldering" , the enamel which evaporates at molten solder temperatures. All you need is a normal/hot soldering iron. I have not soldered anything yet. I only placed the wires onto the speaker with my fingers. Should I now solder the wires onto their corresponding solder glob to see if the speaker will work? Can I solder the wires anywhere onto their corresponding solder glob, or is there a wire trace or something else that I need to locate and solder onto that? Solder to the same glob the wire was previously connected to. Making the connection just by touching the wire will probably not work with this type of wire, you need to solder it. I soldered each wire to the same glob that it was originally connected to, and the speaker still does not work. All of the wire strands were grouped into their correct color as far as I can tell with my magnifying glass. What do I try next? It does not matter what part of the correct solder glob the wires are soldered to, correct? Thanks. Junk the old one and use fresh one. And remember that to check continuity on enameled wire, you must first tin it, otherwise your probes are touching insulating varnish. I guess before you scrap the entire cable, you can cut the plug off and see if you get continuity. You might get away with replacing only the plug rather than the whole cable. Especially if there has been a lot of flexing where the cable meets the plug. I twisted the cable plug when it was inserted into the port on my computer and the right speaker started working. So the problem was both faulty wiring in the right speaker and a problem with the computer port. The cable plug that is inserted in my computer is on a cable extension that is new. I believe that before I started using this new extension cord that the right speaker would start working sometimes when I would twist the plug on the original cable also. So the computer jack is faulty. The wiring to the right speaker was also a problem because it was frayed so badly, and when I would moved that wire either near the left or right speaker the right speaker would work again. But I just tested continuity to the right speaker and left speaker wires from the original cable plug and got continuity to the left speaker but no continuity to the right speaker which is confusing. Thanks for the help. Replace whole wire from plug to speakers, what´s confusing about that? Stop wasting your and our time with 33 year old frayed wire. Last edited by nosaj; 01-17-2019 at 01:08 PM. Comes here looking for free advice, starts cussing at people who offer it to him. Last edited by glebert; 01-17-2019 at 06:18 AM. Sony audio speakers to tube amp?